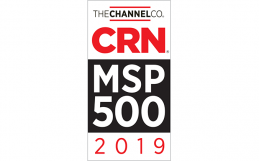 IT Weapons is excited to announce that our team has once again been named to the Tech Elite 250 list for 2019 by CRN, a brand of the Channel Company. This annual award celebrates North American IT solution providers that boast high numbers of advanced technical certifications from leading partners in the IT industry. 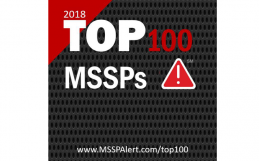 To compile the annual list, The Channel Company’s research group and CRN editors work together to identify the most client-beneficial technical certifications in North America. Companies who have obtained these elite designations— which enable solution providers to deliver premium products, services and customer support—are then selected from a pool of online applicants. “Earning certifications has always been a key part of our business strategy,” said Mark DeFreitas, Director of Professional Services at IT Weapons. “Certifications help us maintain partner levels with our key vendors, which in turn allows us to offer better pricing and support for clients. In addition, they provide an amazing learning opportunity for all of our consultants, technicians, and analysts who are always trying to stay educated and on top of the technology that they are supporting. All IT Weapons employees are empowered and supported in their pursuit of continuous education when it comes to learning more about technologies that affect Canadian organizations. Each team member on the Service Desk is required to achieve certifications for commonly used technologies, such as Microsoft and Citrix, so that they can better support clients, while our Professional Services Consultants aim to earn certifications in their individual area of expertise, whether it be Security, Microsoft technologies, application delivery, server virtualization, networking, storage, etc. Congratulations to the entire IT Weapons and Konica Minolta family! Coverage of the Tech Elite 250 will be featured in the April issue of CRN, and online at www.crn.com/techelite250.